Frank Ocean, the most random member of the biggest thing right now in hip hop, the group OFWGKTA (Odd Future Wolf Gang Kill Them All), put out a mixtape a little while back, nostalgia/ultra, that was, well, surprisingly smooth. After I heard about OFWGKTA a few months back I tried to give them a fair shot. When the media/blogosphere anoint the next big thing, I'm usually a little skeptical, but I wanted to see for myself why the group of young skateboarders outta LA was getting so much hype. Two observations-one, like Lil'B, I would much rather watch an interview of OFWGKTA than listen to their music because, two, I think most things have a time and a place, but I don't think a lot of the stuff they rap about does. They seem likable enough, fun, young, looking like they're having a blast, but I don't see the need, and the exorbitant demand, for the music that they generally make, especially at they level they do. Let's get back to the music. 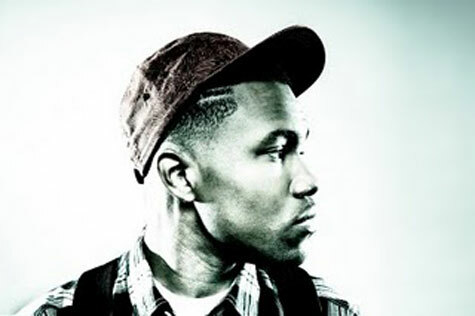 Frank Ocean is 23 years old, has worked with John Legend and Beyonce, among others, and has a sound that is miles away from the shock-rap sound and style of his group. His first album showcases his take on R&B. R&B, while dominating the 90s, has had little place at the music table for this century, other than taking a leap forward with Drake's classic So Far Gone. nostalgia/ultra seems like another step forward for the floundering genre. Today's jamandahalf is a silky stream of consciousness ramble about everything from time travel to gay marriage. And unlike a lot of the music of his crew, "We All Try" is immediately likable and relatable. With a goofy sophistication, "We All Try" is both unrelentingly modern and relevant, all wrapped up in a smoothness that's impossible to copy, you just gotta have it. Ocean's got it.